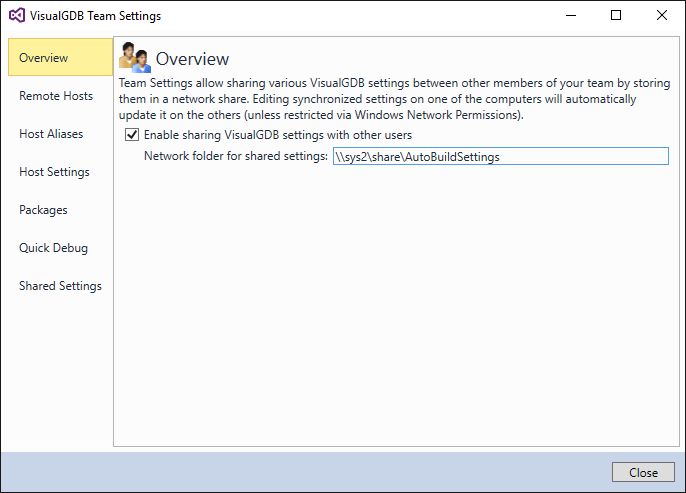 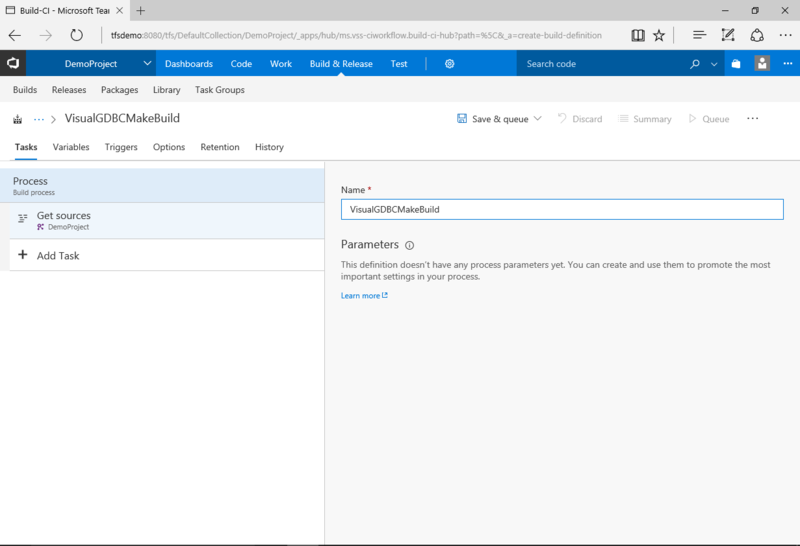 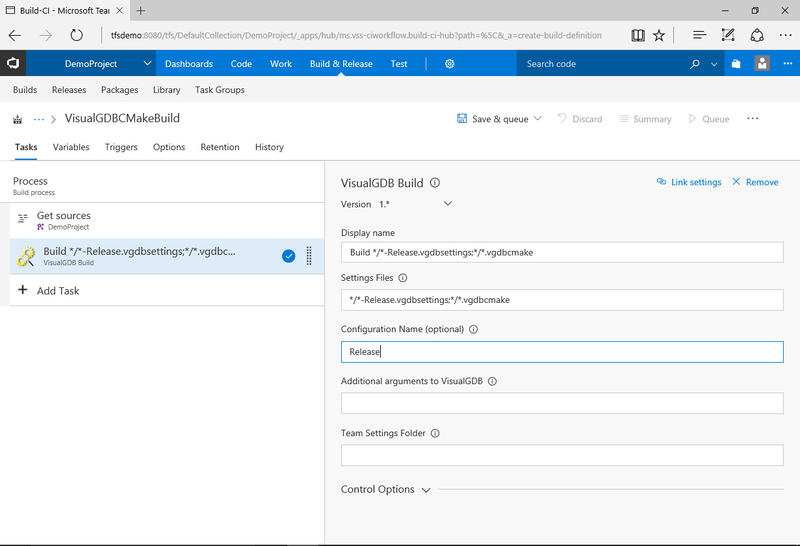 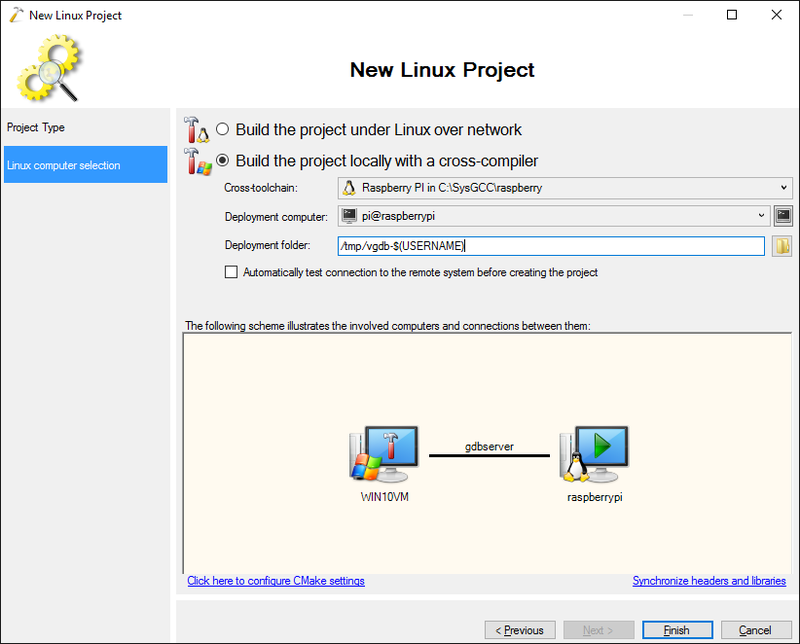 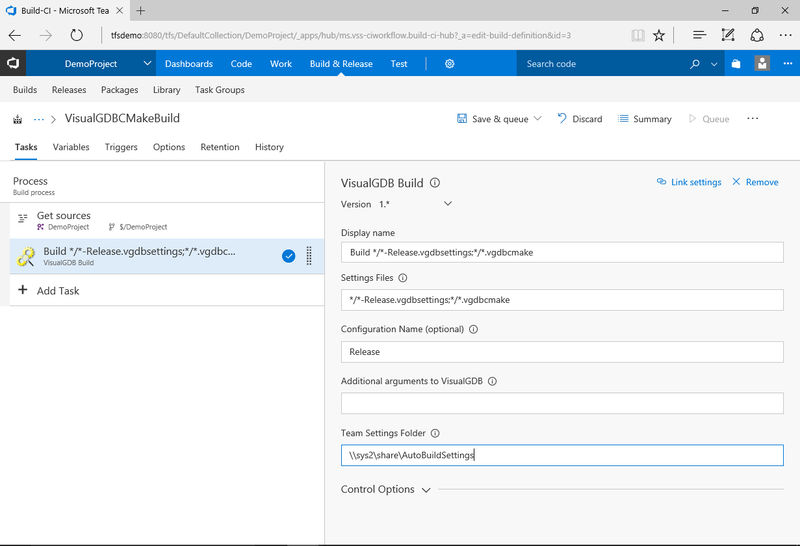 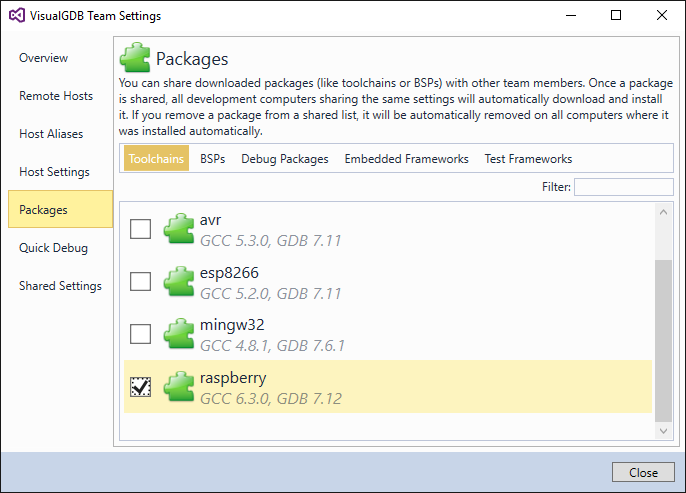 This tutorial shows how to use Team Foundation Server to build advanced CMake projects. 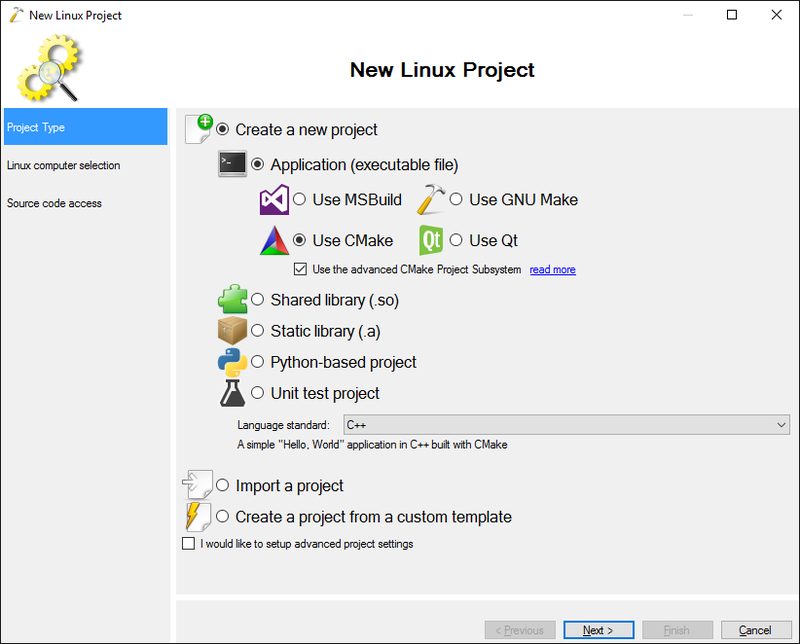 The advanced CMake project subsystem replaces the regular Visual C++ project subsystem and provides seamless integration with CMake. 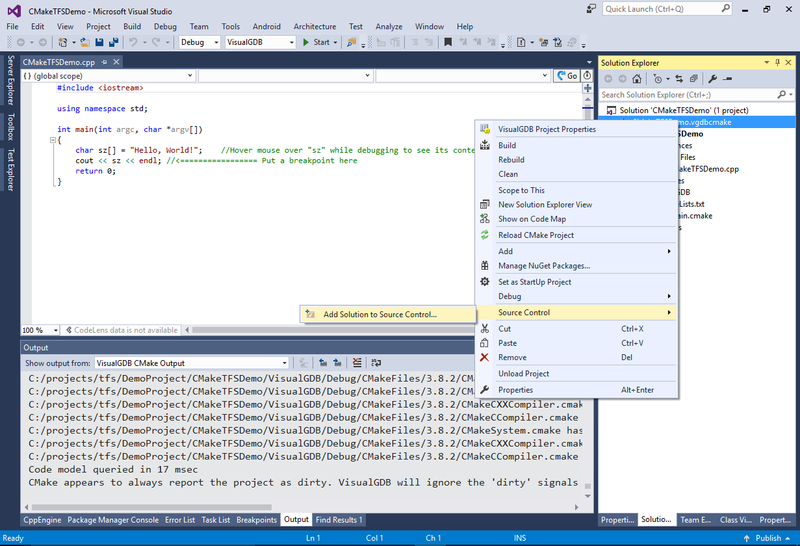 Instead of duplicating settings between the CMakeLists.txt files and the Visual Studio project files, the advanced CMake subsystem lets Visual Studio treat CMakeLists.txt files project files, automatically showing an updating targets, source files and build settings. 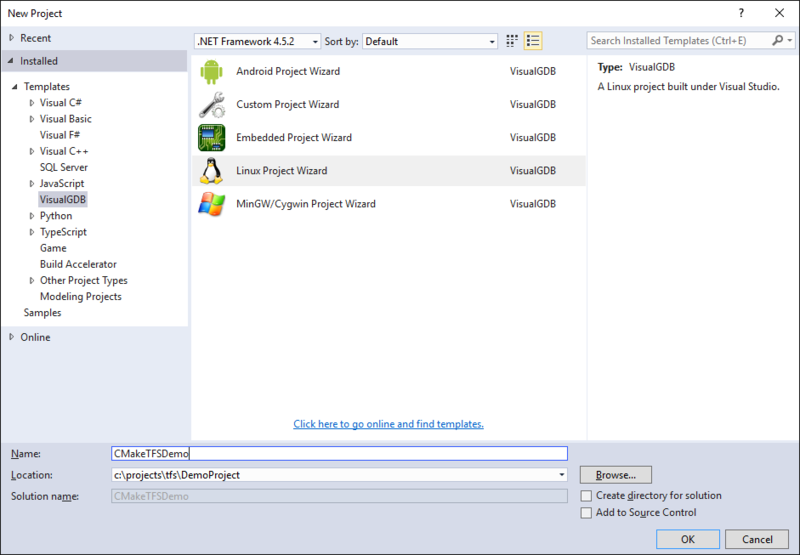 In this tutorial we will create a basic project using the Advanced CMake Project System, check it in the TFS source control and will show how to setup a built agent to build this project without installing a Visual Studio instance there. 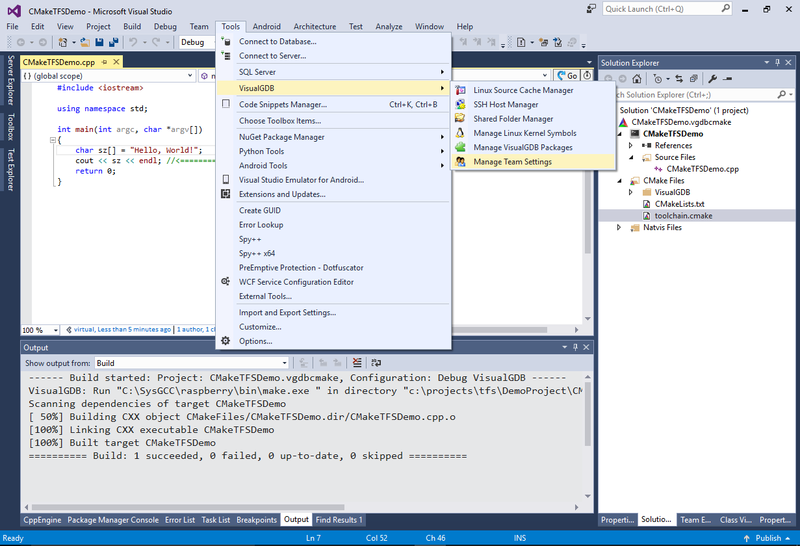 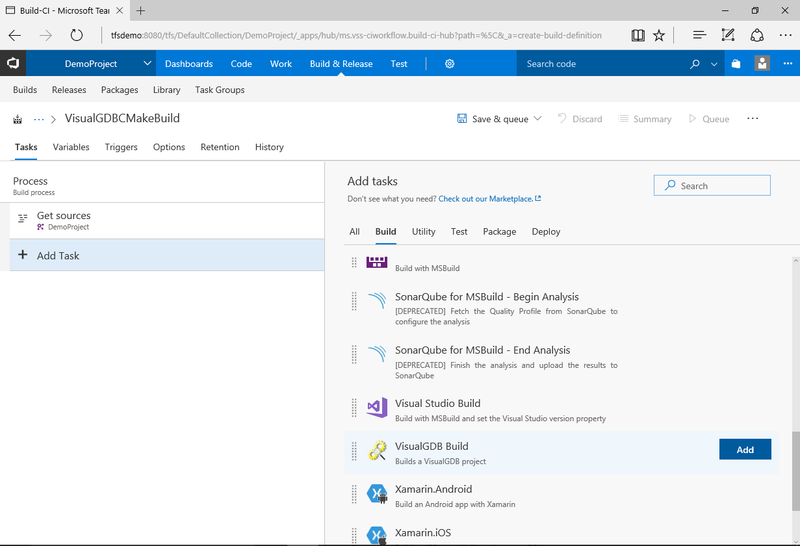 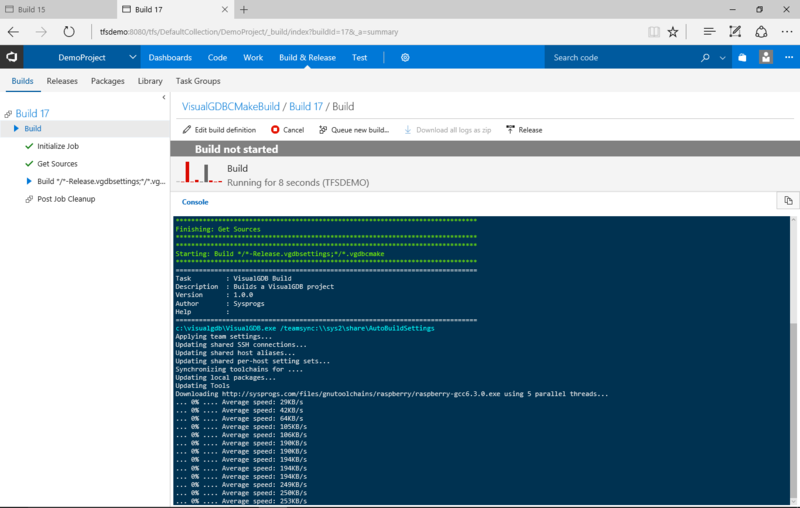 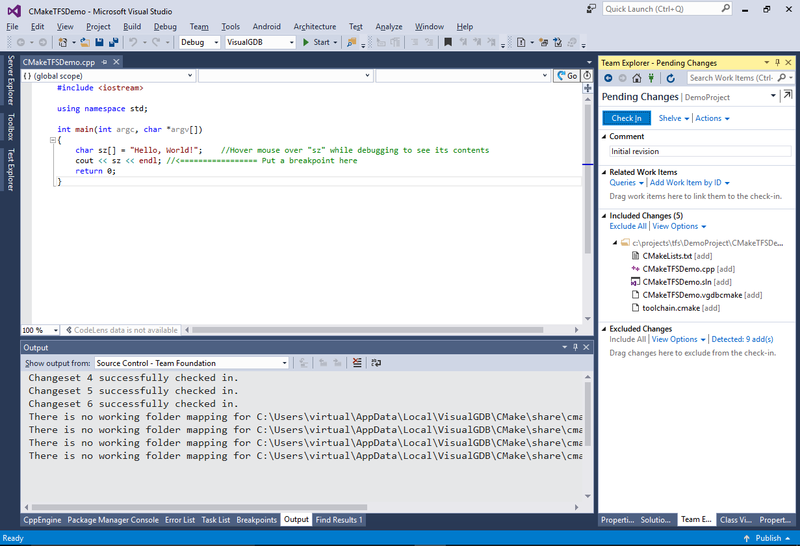 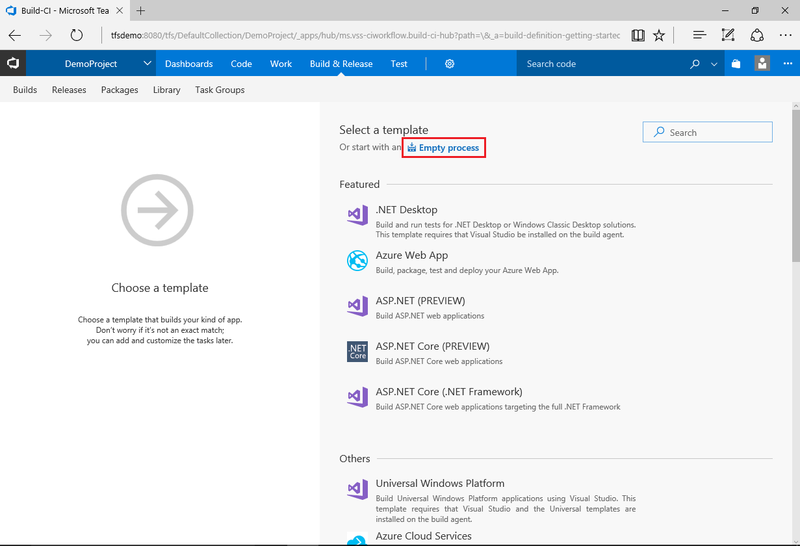 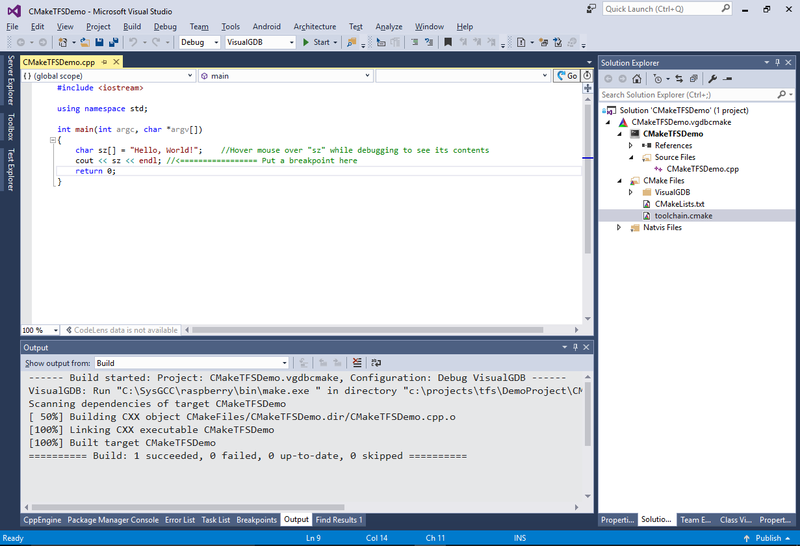 This tutorial will use 2 machines: server machine running TFS and the build agent and the client machine running Visual Studio. 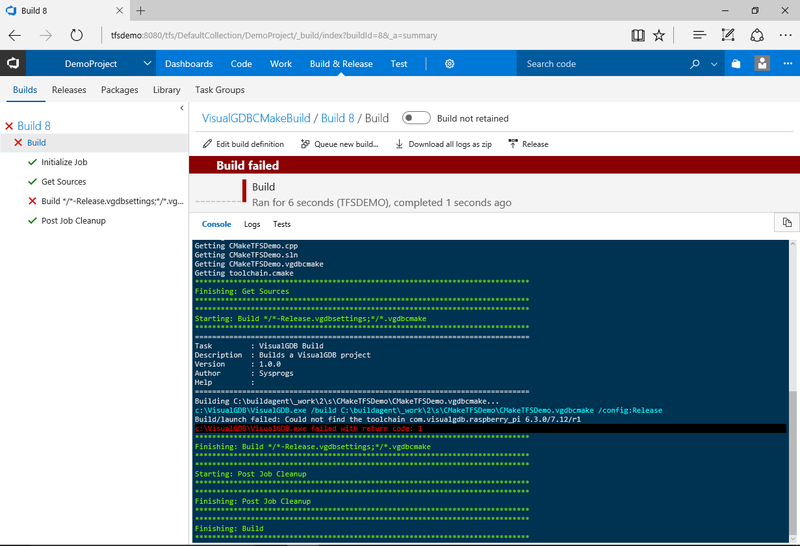 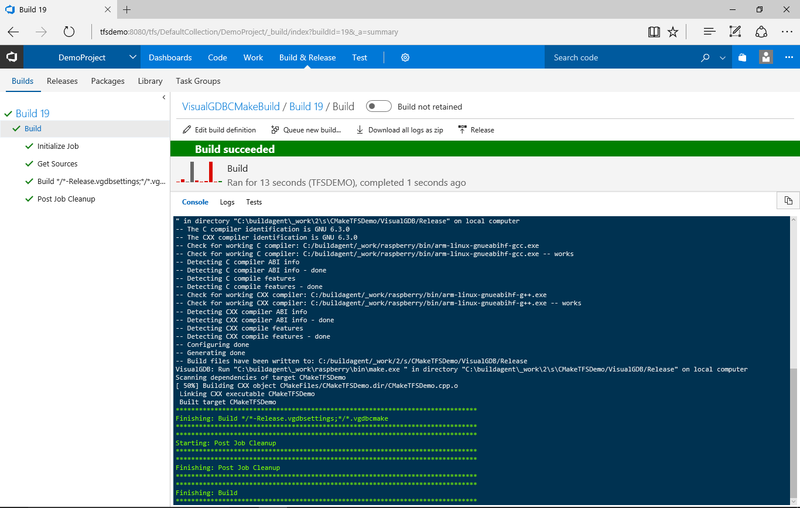 Before you begin, install VisualGDB 5.3R4 or later and follow the TFS Makefile tutorial to get the basic TFS functionality to work.